Yesterday I posted about forgetting to put my "modelling" layer on my prototype gaming board. I had gone ahead and cut a piece of 5mm mdf (turns out to be 6mm mdf) to 600mm x 600mm square and then paint it a layer of background sand colour followed by a heavy dry brush of a light biege colour. Lay the mdf board, cut to shape and size, on the foamboard. At this stage I noticed the foamboard was actually slightly thinner than the mdf board. The foam measured 594mm with the mdf board being 600mm and the requirement that the foamboard be at least 5mm more on each end. So I really needed the foamboard to be at least 610mm wide. This was a major disappointment. This means I need to glue down the 1st side of the mdf board as planned, but then glue down the other side with custom cut portion of foamboard using the same oversized technique. With the mdf board now totally covered in foamboard that has been glued and is completely dry, use a putty or filler to hide any gaps or lines in the foam. Try not to add any height to this section of the board. 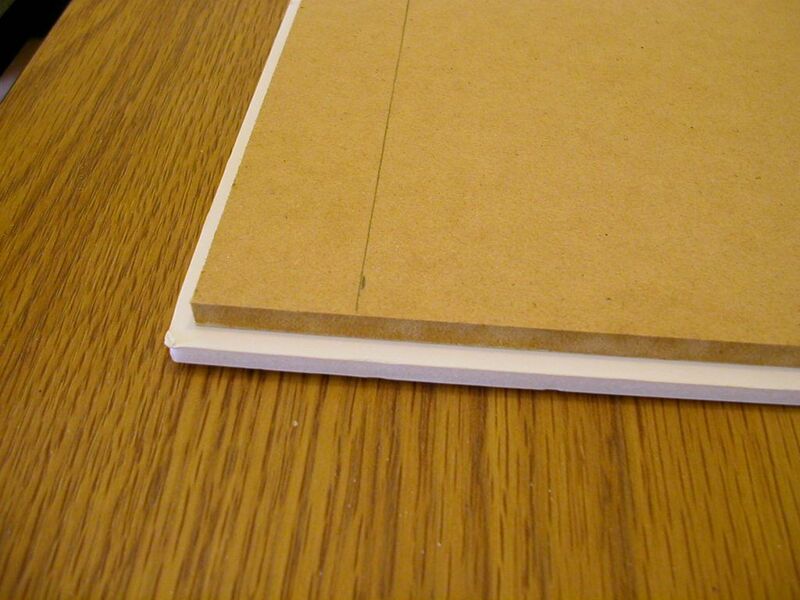 Trim off the access foamboard carefully to make sure the remaining foamboard is perfectly flush with the mdf edge. Use a sharp knife and a perfectly upright cut. Now that the board is complete, paint as per previously detailed with a thick coat of base desert colour and when dry and heavy dry brush of a light desert sand colour. I also then go 1 step further and coat the whole board in a generous spray of matt lacquer to protect the paint and surface without making it too shinny. The desert terrain board is now fully complete. NOW, on to the scenics.